Happy spring! 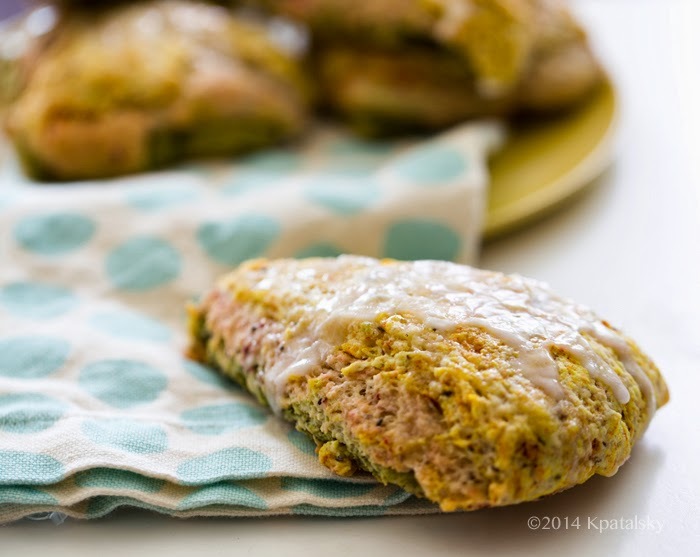 Pretty recipes like colorful salads, fruit-filled smoothies, spring-y pastas and soups, and these fluffy scones are welcome this time of year. They compliment the bright yellow spring sun, pastel flowers and blossoms ready to bloom, happy birds, crisp breezes and cheery disposition of spring. 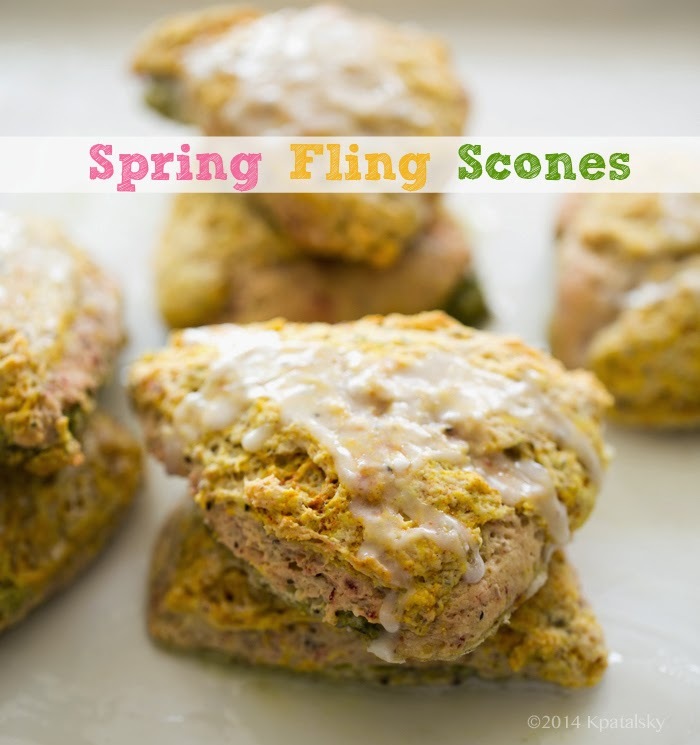 These Spring Fling Scones with a colorful pastel ribbon of pink, green and yellow (all-natural colors) are perfect for pairing with afternoon tea or serving at spring fling brunches. A zesty lemon glaze on top.. 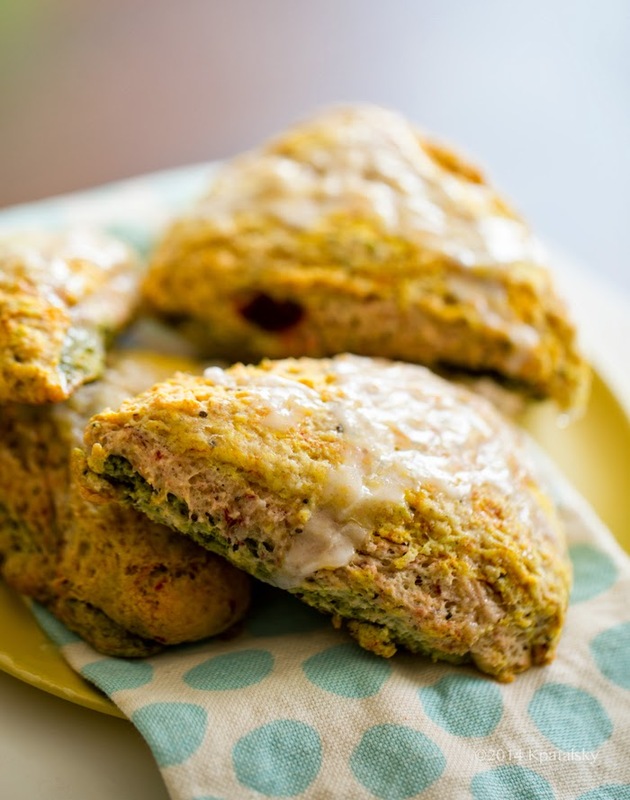 These classic-gone vegan scones are pretty simple to make, with ingredients like flour, coconut oil and silken tofu leading the bulk of the dough. 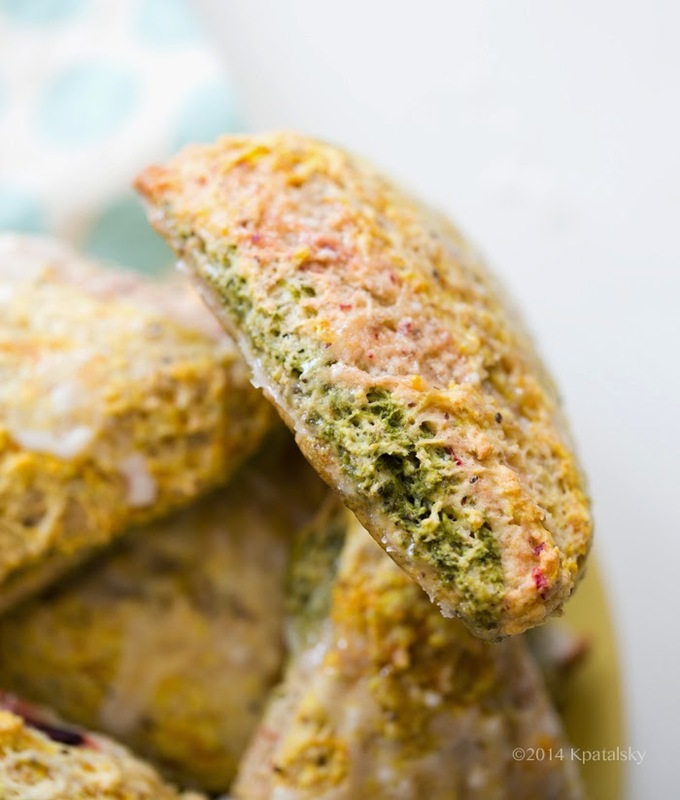 The colors come from all natural ingredients including matcha green tea, turmeric (the flavor is barely recognizable..) and a touch of beets or berries. 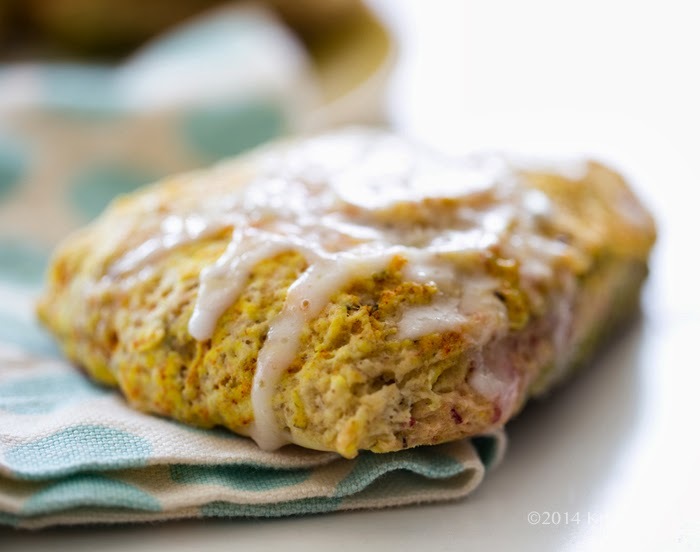 These scones bake up fluffy and moist, with a sweet crinkly glaze on top. Speckles of flax and chia seeds throughout. You can substitute the organic white flour with your favorite gluten-free or whole grain flour if desired, results will vary a bit. 2. Combine the flour, baking powder, salt and sugar in a large mixing bowl. 3. 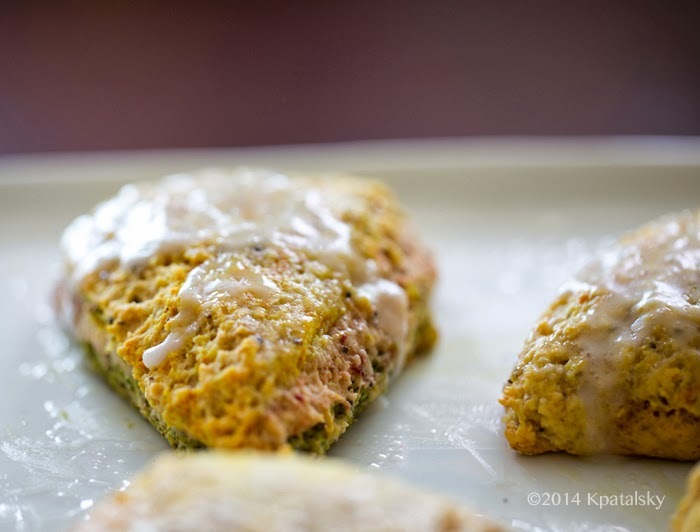 In a blender on low speed, combine the silken tofu, orange juice, chia seeds, oil and flax meal. Blend until smooth and thickened, about 1-2 minutes. 4. Fold the liquid mixture into the dry bowl until a fluffy dough forms. 5. Split the dough into thirds, transferring one third to a small bowl and another third to another small bowl. 7. On a floured surface, press out the green dough into a round about 7-8 inches across. Form round with your hands. Again, add a pinch more flour if things get sticky. Also, it helps to have your kitchen at a cool temperature so the oil-infused dough doesn't get too melty in texture. 8. Repeat the coloring steps with the yello (turmeric) and pink (beet) thirds of the dough. Place each layer on top of the green in a stacking form so that you end up with one fluffy round of dough, three layers of color. Using your hands pat out and form the dough into a tall fluffy round. 9. 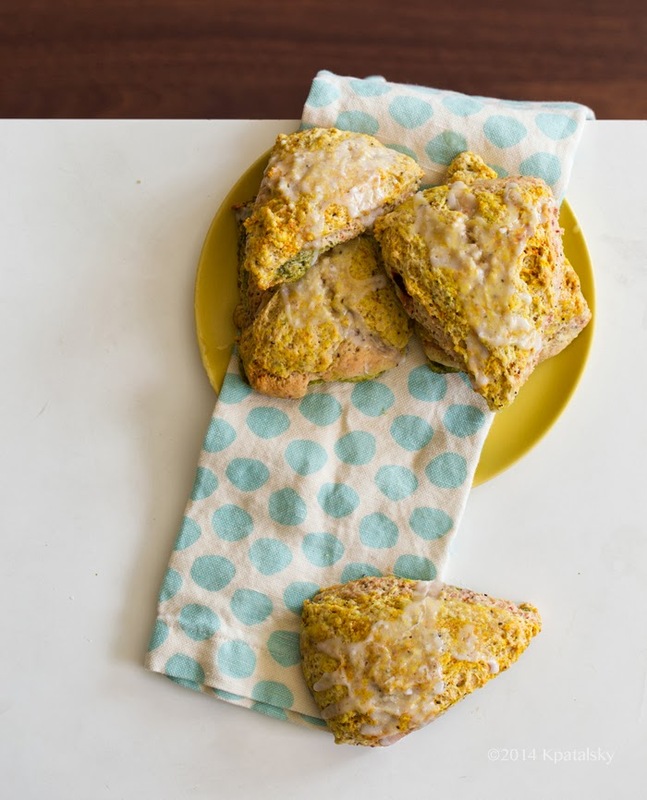 Using a chilled or lightly oiled knife, cut out the scones by slicing the dough in half, the in quarters, then again in eighths, just like pizza slices. 10. 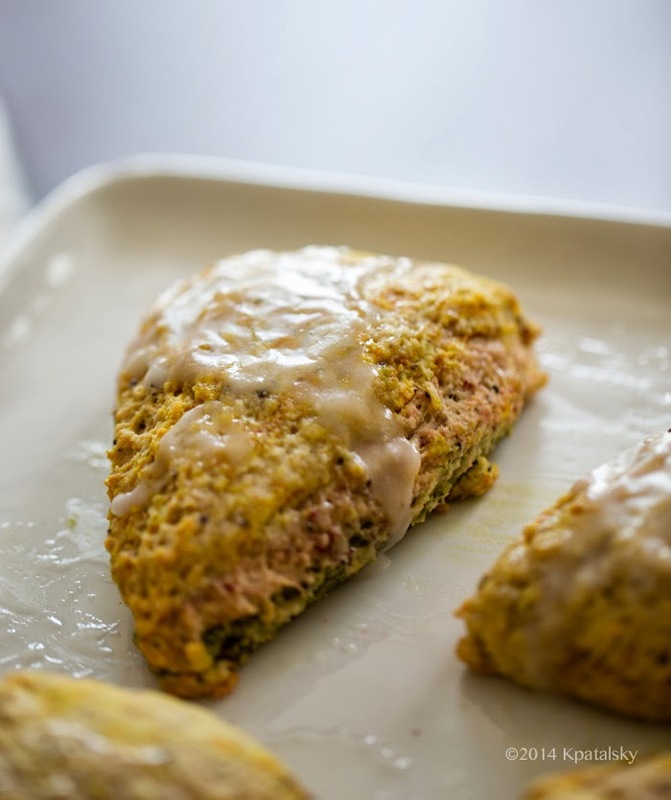 Place the scones on a lightly greased baking sheet and place in the 400 degree oven to bake for 20-25 minutes, or until the edges begin to brown just a tad and the tops are firm and toasty to touch. 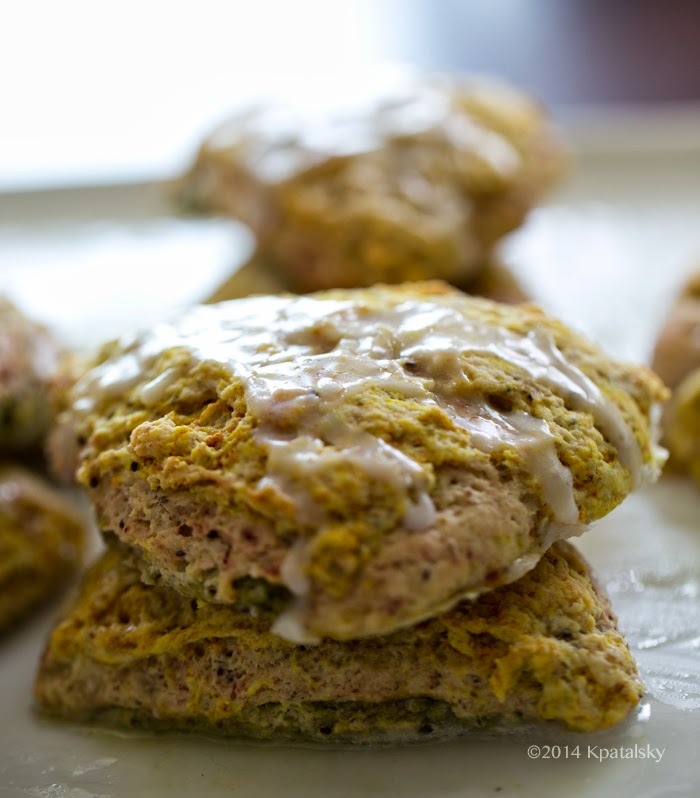 The scones will still be quite tender and fluffy on the insides and will need a few minutes to cool before poiring the glaze. 11. Cool scones on a baking rack. Whisk together the vanilla-lemon glaze. Pour the glaze over top the scones after they have cooled a bit. 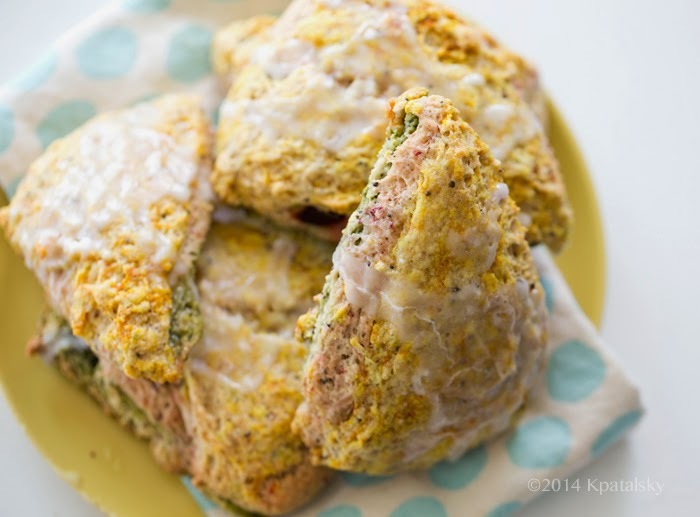 Serve scones warm for best texture and flavor. 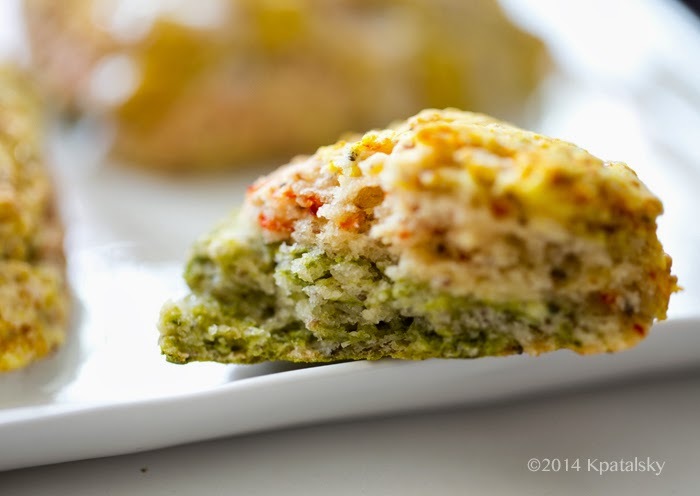 Store in the freezer or fridge and warm up to serve.